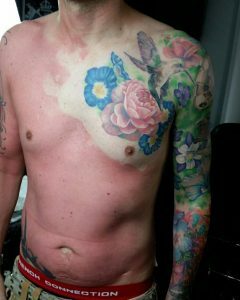 Warning to all tattooed people, remember your sun block! As you all know summer is well under way, and as much as we love to lounge, we also need to remember to cover up those tattoos! The heat will probably come and go as the British weather typically tends to do, and its better to be safe than sorry. Remember to always keep that factor 50 at hand. We recommend applying a high factor sun cream to all tattoos while being out in the sun to keep them looking bright and beautiful. And if you are planning on getting tattooed at anytime over the summer, keep your skin at its optimum condition by applying a sun cream or lotion to any area you may consider getting inked. All this talk of tattoos is probably making you want one, right!? Well you are in luck! 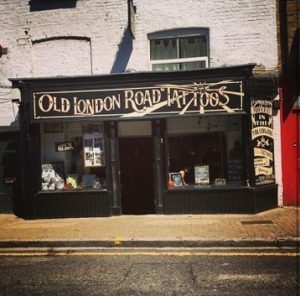 We have spaces reserved out for smaller, walk in tattoos all through the week and over the weekends. These are all booked first come, first serve from 10.30am on wards daily. Don’t fancy a tattoo, then why not treat yourself to a piercing, check out our range of jewellery here on our website!